11046 ft (3367 m) . 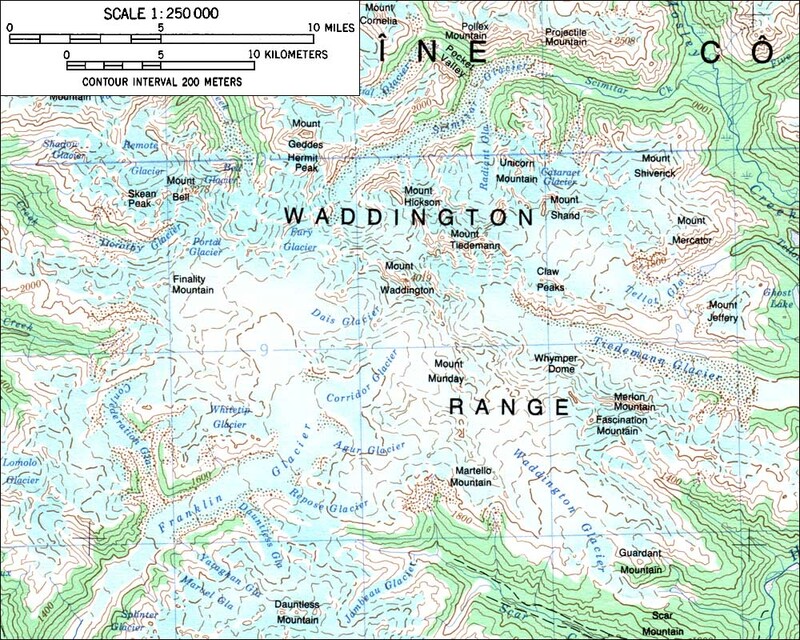 Mount Munday is located less than 4 miles (6 km) to the southeast of Mount Waddington, and it is the highest peak in the Waddington Range which can be ascended completely on skis. From the col to the south, it can be skied to within a few meters of the true summit, and in fact its first ascent was on skis by those great pioneers of British Columbia ski mountaineering, Don & Phyllis Munday. 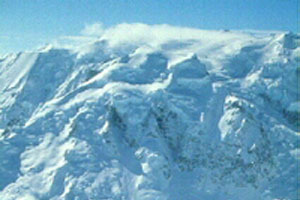 Access routes to Mount Munday are much the same as for Mount Waddington itself, with air access either directly onto the Franklin Glacier or into logging camps at Knight or Bute Inlets followed by lengthy hiking and skiing. 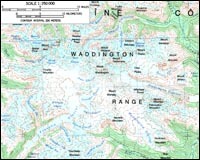 Several long traverse routes are also skiable across the Franklin and Waddington Glaciers to the south.